Fellow Guppy Chapter of Sisters in Crime member Katherine Prairie, a geologist and IT specialist, stepped away from the international petroleum industry to follow her passion for writing. 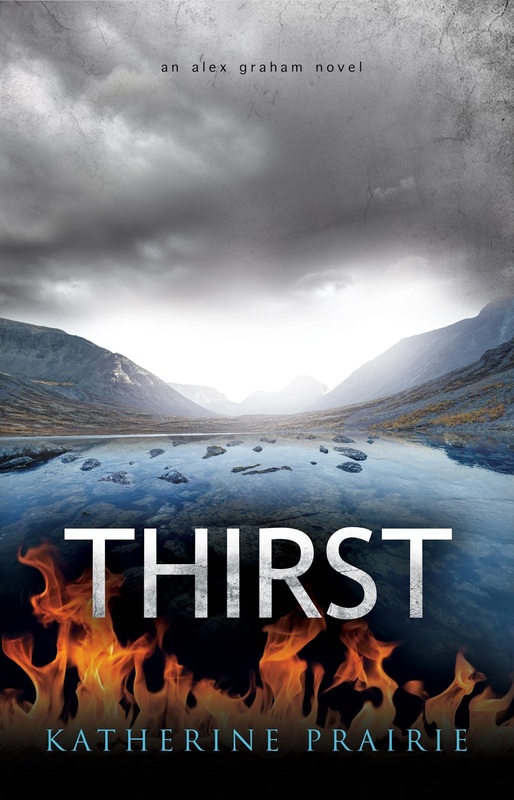 Her first thriller THIRST has just been released. Makes me feel like a kid in a candy store! I love to travel, so I’d be up for almost anything, but I’d head back to Antarctica. As a geologist, I’m absolutely fascinated by the mountains and ice, and who can resist a penguin? I’d invite mountaineer Peter Hillary who attempted to trek to the South Pole and back – his book, In the Ghost Country is a haunting story of survival. I’d also invite international correspondent Christiane Amanpour for her knowledge of global affairs because nowhere else on earth do we have a continent managed solely by a committee of 52 countries. 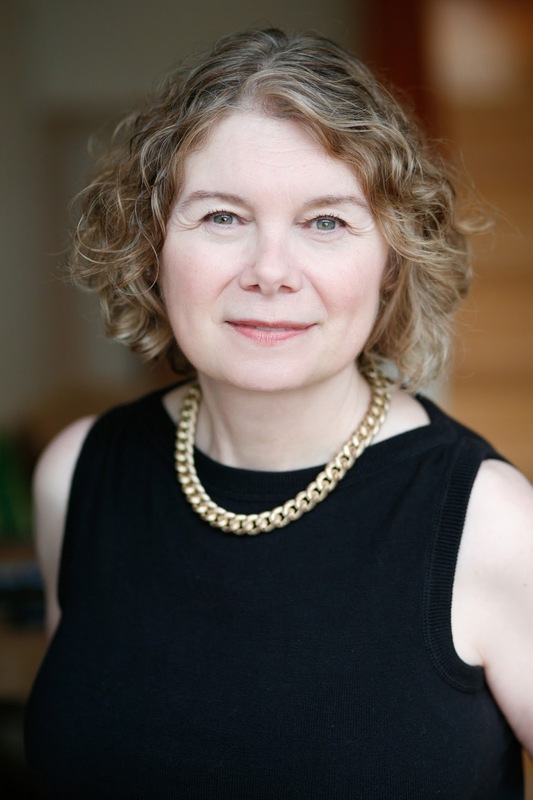 And finally, I’d invite geologist Robin Bell who’s researching a hidden mountain range in East Antarctica – an intriguing real life polar mystery. We’d stay onboard a ship, so we could sail the Ross Sea and head ashore whenever we see something interesting, and then spend long evenings chatting over wine. I’m sure I’d come back with some great story ideas! I’m somewhere between the two. I use mind-mapping software to roughly lay out my plot ideas and then I start writing. My characters often take me in a different direction than planned or suggest a sub-plot or two, and sometimes I find what I had planned doesn’t work. I incorporate these changes into my mind map as I go and that can reveal more new ideas and plot twists. Still, I find it helpful to work from this quasi-outline because it holds my story on-track and gives me direction for the next chapter. I’m always adding between the first and final drafts. I write in layers, setting down my general story in the first draft and then making several passes to add more character, plot and sensory details. By the time I have a final draft, my story may have swelled by 30,000 words or more. I used to feel that I had to finish every book I started, but not any longer – I just don’t have the same reading time that I once did, and there are just too many books on my to-read list! But still, I like to give an author at least 100 pages to hook me. If the story doesn’t fire up my imagination or intrigue me, then no matter how much the characters might be likeable, I find myself not caring whether they live/die or solve the crime. But I also need characters that are fully developed. They don’t need to be complex, they just need to feel like something other than cardboard cutouts. Michael Crichton because he wove scientific fact into thrilling stories that were something other than science-fiction, which is exactly what I wanted to do. Terry Brooks for his masterful ability to keep you on the edge of your seat with a story told from different character perspectives. Daniel Silva for his intensely satisfying stories and interesting characters – I can’t wait to find out what happens to Gabriel Allon next! City of Veils by Zoe Ferraris. It’s a crime novel set in Saudi Arabia that features a female medical examiner. Her interactions with male/female law enforcement colleagues, suspects and victims, provide an intriguing look at life in the Middle-East. And it’s a page-turner too! I do read my reviews because I’d like every reader who picks up my book to finish it, and that means I have to be prepared to listen to feedback. But I also don’t let a single review influence me because no book will ever satisfy every reader. 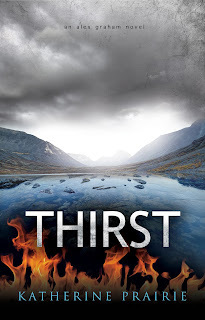 Thirst took root in a “what-if” question I asked myself about a fifty-year-old treaty between the U.S. and Canada that governs management of the Columbia River, an important water resource shared by the two countries. When I learned that the treaty, which soon expires, includes three dams built in Canada for the benefit of the U.S., and I discovered the fascinating history of the Slocan Valley, home to those dams, the seeds of a story took hold. After that, I just let my imagination guide me. Give your reader a central character they care about and trust, and do it early. It’s a reminder that readers need a reason to keep reading. Geologist Alex Graham refuses to let politics stand in her way. She evades military patrols to slip into a restricted zone to hunt for silver, but her plans are derailed by an intentionally set fire that almost takes her life. Good morning! Thanks for having me here today Jim - I had fun answering these questions! Nice to see a fellow B.C. mystery author drop by! It's a gorgeous day here in Vancouver - I don't know about you, but I find it hard to write when the weather gets like this. To tell the truth, I often wish Canada would annex the U.P. of Michigan. I've always felt I had more in common with my northern neighbors than most of the U.S., eh? We could suggest it to our new Prime Minister. Maybe we can include Minnesota too - Trudeau's the outdoor type and I'm sure he'd appreciate canoeing the beautiful boundary waters without worrying about whether he's in Canada or the U.S.! Go ahead and give it a try! A few years back the Michigan tourist information center produced a map that excluded the UP, so they clearly won't miss us.